Drought response, also called drought contingency planning, is a way to ensure that critical water needs are met during a dry period, minimizing the economic, social, and environmental impacts of a drought. Today, most water suppliers are required to create and implement drought contingency plans that include “specific, quantified targets for water use reductions” – more simply, plans to reduce peak water demands and make supplies last longer during a drought. This requirement is a result of the passage of Senate Bill 1 (1997) and Senate Bill 2 (2011), in which the Texas Legislature called for drought response to be an essential part of the state’s water planning process. Drought contingency plans must be updated every five years. What do drought contingency plans look like? Most drought contingency plans are based on trigger levels – this means that when reservoir storage, aquifer levels or spring flows fall to a defined amount, municipalities and/or water suppliers take steps to cut back on demand. These plans frequently include multiple stages, where smaller or voluntary cutbacks are implemented first. As an area’s available water supply declines, the cutbacks usually increase in severity and become mandatory. In urban and suburban areas, water use increases dramatically in the summer due to lawn watering, and municipalities frequently see water use more than double during summer months. The Texas Water Development Board estimates that landscape watering accounts for about one-third of total municipal water use on a year-round basis. Because of this, most municipalities’ plans focus on restricting landscape irrigation, and many plans limit landscape watering during the heat of the day, when large amounts of water are lost to evaporation. Another common strategy is to restrict landscape watering to once or twice a week or every other week. Often this is based on the last digit of a customer’s address or garbage pickup day. Dallas, Fort Worth and Conroe are among the first Texas cities to implement permanent twice-per-week landscape watering restrictions, regardless of drought conditions. Other strategies include prohibitions or restrictions on car washing, filling pools and fountains, flushing fire hydrants, and watering golf course fairways. Although the Texas Commission on Environmental Quality (TCEQ) by law requires most water suppliers to develop these drought contingency plans, there is little state review and the plans are all too often insufficient to address the challenges of extreme drought. We saw proof of this in 2011, when more than 1,000 water utilities and municipalities implemented some aspects of their plan – only to find that these plans provided inadequate tools for mitigating the impacts of drought. For example, the City of Groesbeck nearly ran out of water in Nov. 2011 after waiting until only two months worth of water supply remained before implementing significant drought response measures. Water planners are directed to ensure that enough water is available to meet water needs during a drought of record, yet only a few of the 2011 water plans included the water saved through drought management as a water supply strategy. Failing to include drought management as a water supply strategy leads to overbuilding and overdeveloping water supplies. Texas must significantly improve its drought response strategies before the next inevitable drought. 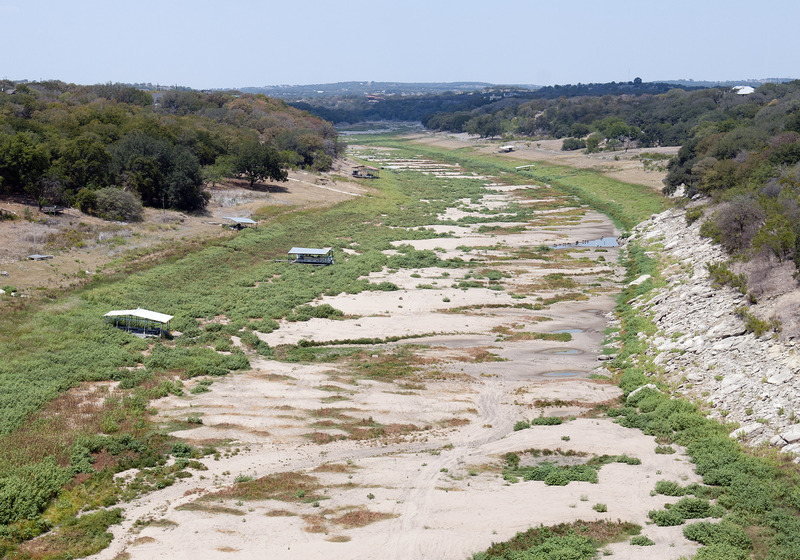 The Texas Living Waters Project has developed several recommendations for improving our existing drought management policies – you can read those by clicking here.